materials for anticorrosive and finishes coatings Dixi Company Ltd., Gabrovo. Stara Zagora - June 11, 2015 at 10:30 - our office, kv. Industrialen, str. "Promishlena", GPS coordinates: N 42.408028 E 25.629139), +359 42 63 83 74. 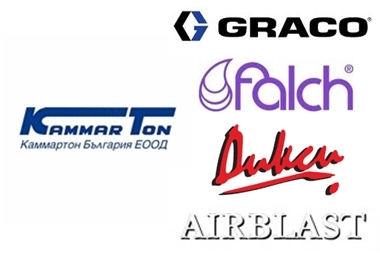 We kindly ask the companies, wishing to present, to confirm their participation in the offices of Kammarton Bulgaria Ltd. or by phone no later than May 29, 2015.